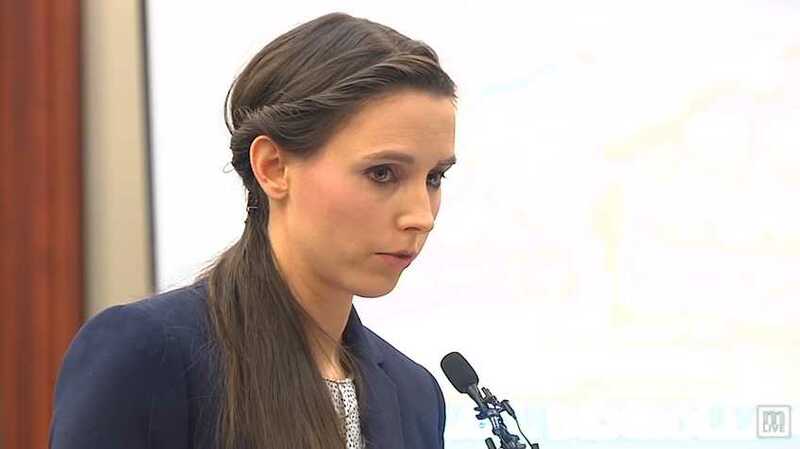 LANSING, Mich. — A former gymnast who had been sexually abused by sports doctor Larry Nassar when she was 15 presented the gospel on Wednesday in delivering her victim impact statement in court. Rachael Denhollander was the first woman to speak out in 2016 after USA Gymnastics was accused of failing to properly handle sexual assault accusations lodged by young gymnasts, and she was also one of the last to have a say this week as Nassar was sentenced to 40 to 175 years in prison. Denhollander noted that she had observed Nassar previously bring his Bible to court and that he had said that he had prayed for forgiveness. “If you have read the Bible you carry, you know that the definition of sacrificial love portrayed in it is of God Himself loving so sacrificially that He gave up everything to pay the penalty for sin He did not commit. By His grace, I too, choose to love—no matter what it costs,” she said. The 32-year-old, who is now married and works as an attorney, then warned Nassar that he must repent of his evil deeds. After explaining the consequences of sin, Denhollander presented the grace of the Lord as Christ took the place of undeserving sinners. According to reports, Nassar dabbed at his eyes during some of the victim impact statements that were delivered over the seven-day hearing, and other times he sat emotionless. Over 150 women who state that they were abused by Nassar while coming to him for treatment spoke during the sentencing hearing.